VeryPDF PDF Printer Driver is the complete solution for businesses and developers needing a fast, reliable PDF conversion tool. VeryPDF PDF Printer Driver gives users and developers flexible options to convert, save, email, print, archive, or combine their documents easily. 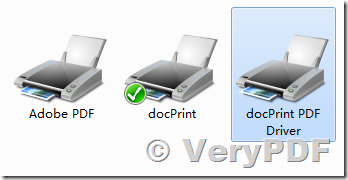 VeryPDF PDF Printer Driver is the fastest high-volume conversion utility, while still keeping an easy-to-use human interface for simple PDF conversion. VeryPDF PDF Printer Driver, combined with the Resource Tool Kit – Application Programming Interface (API), offers developers and Original Equipment Manufacturers (OEM’s) the capability to integrate, customize, or build advanced document management systems. The Resource Tool Kit – API is a collection of utilities and sample source codes for sophisticated developers to build state-of-the-art business solutions. This entry was posted in DocConverter COM, docPrint Pro, PDFcamp Printer and tagged pdf creator, pdf generator, PDF Printer, PDFcamp Printer, virtual printer.. Bookmark the permalink.